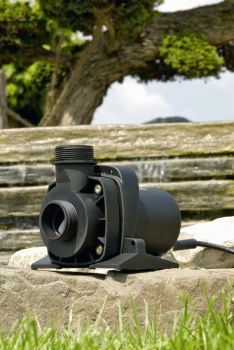 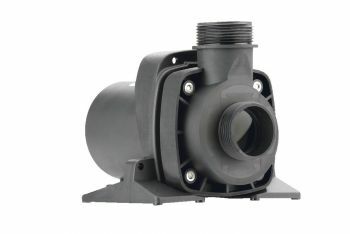 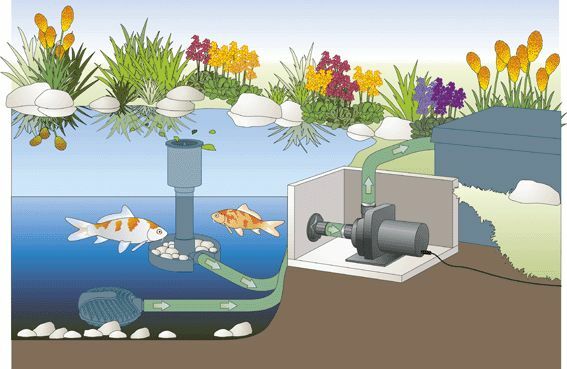 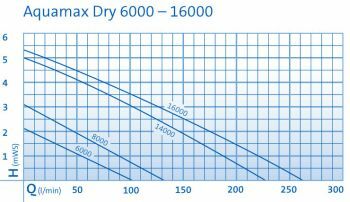 The OASE Aquamax Dry 6000 Pump is specifically designed for dry mounting outside of the pond (flooded suction), making these an ideal choice for Koi Ponds and also for swim ponds where no mains power is desired in the pond area itself. 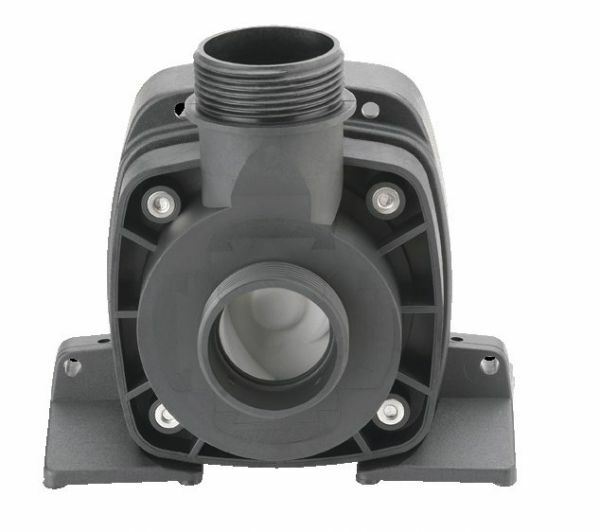 These robust solids-handling pumps are well suited for passing debris to a pond filter system or passing water to a stream or waterfall. Flow rates up to 100 Litres/Minute. 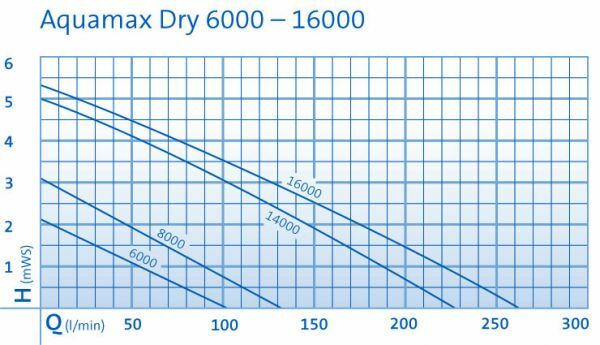 Maximum Vertical Lift of 2.2 metres.